For the die hard fans, you might read the headline and wonder how you can possibly have any ‘winners’ or ‘losers’ after a Week 1 preseason game. For those who think that, you underestimate me! While these games’ outcome is truly meaningless, it doesn’t mean there wasn’t meaning in the contest for players fighting for a roster spot! Players put it all on the field, and while some played well, others left a lot to be desired. 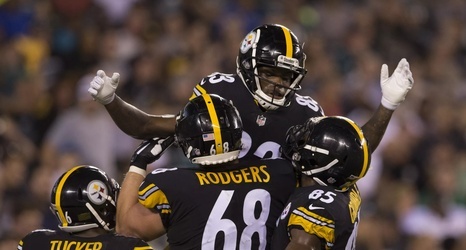 Considering it was the Steelers’ first live game action of the 2018 season, I decided to take it easy and pick 3 winners and 3 losers from their 31-14 win over the Eagles in Philadelphia.